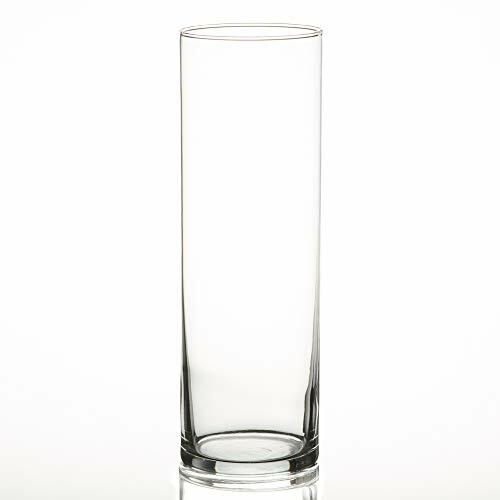 Set of 48 Cylinder Candle Vases. This set includes twelve of each size: 6.0" Tall x 3.25" Wide, 7.5" Tall x 3.25" Wide, 9" Tall x 3.25" Wide and 10.5" Tall x 3.25" Wide. Diameter of opening is approximately 3.25". 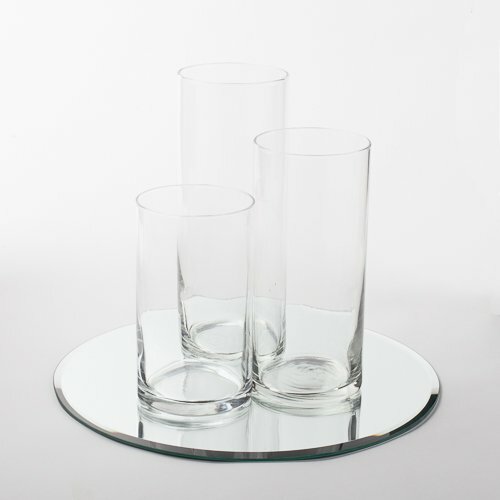 These work perfectly with 3 inch floating candles or pillar candles. Candles sold separately. These items are Made In USA. 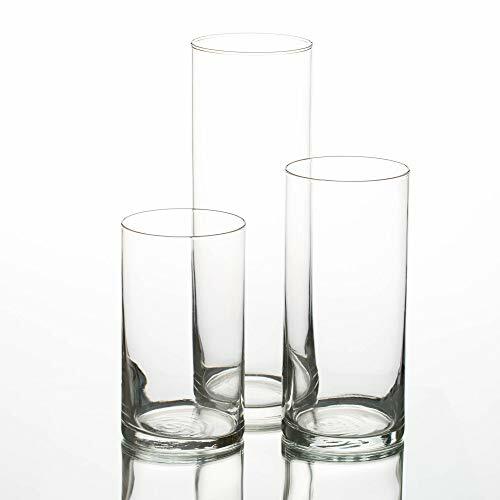 Set of 36 Eastland Cylinder Pillar Candle Vases. This set includes twelve of each size: 6.0" Tall x 3.25" Wide, 7.5" Tall x 3.25" Wide, and 10.5" Tall x 3.25" Wide. Diameter of opening is approximately 3.25". These work perfectly with our hand poured 3 inch pillar candles. Candles sold separately. 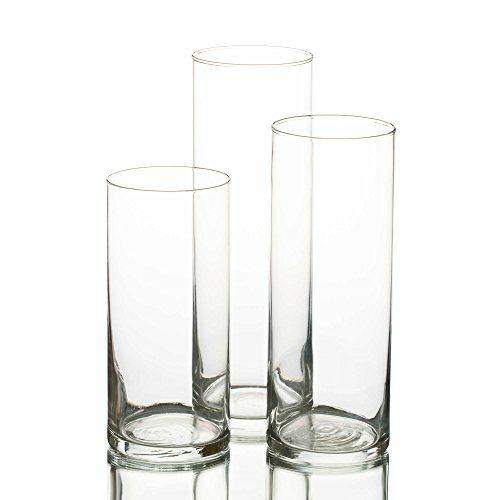 Set of 3 cylinder floating candle vases. This set includes one of each size: 7.5" tall x 3.25" wide, 9.0" tall x 3.25" wide, and 10.5" tall x 3.25" wide. Diameter of opening is approximately 3.25". These work perfectly with 3 inch floating candles or pillar candles. Candles sold separately. These items are made in USA. 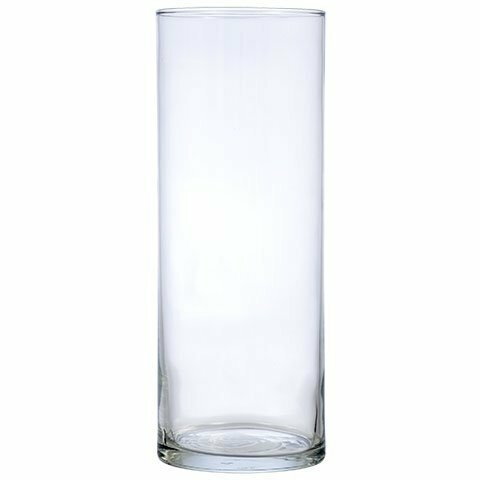 Set of 12 Glass 10.5" Eastland Cylinder Vases. Size: 10 1/2" Tall x 3 3/8" Wide. Diameter of opening is approximately 3 1/4". 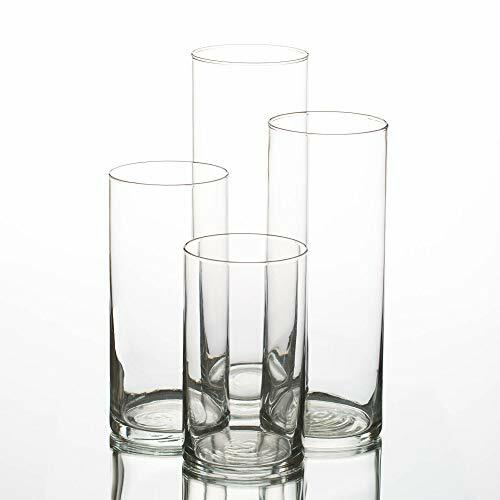 Cylinder vases are perfect for floral arrangements, 3 inch floating candles, or 3"x9" pillar candles. Candles sold separately. 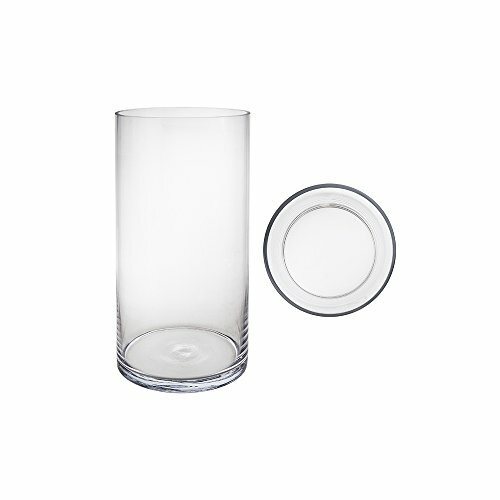 Case Quantity: 12 Color: Clear Material: Glass Height: 9" Diameter: 3.25"